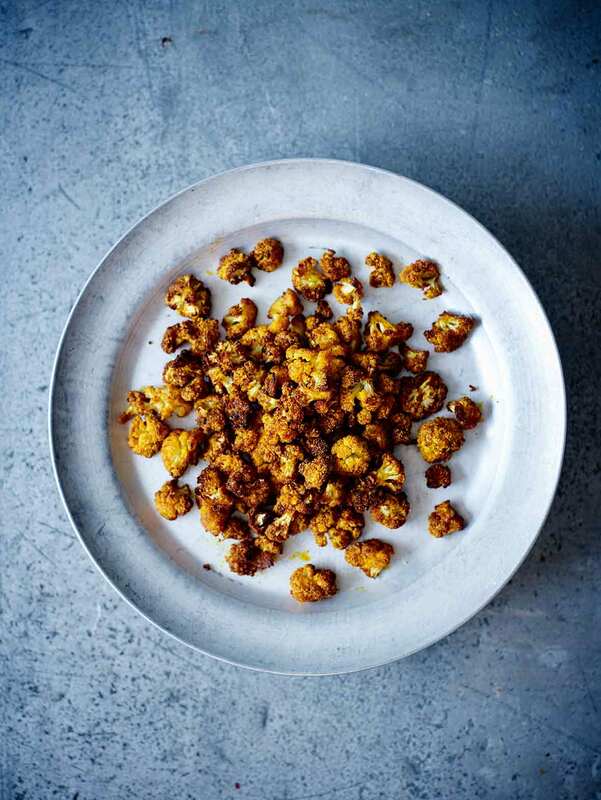 This spicy roasted cauliflower recipe is just florets tossed with spices and baked in handy bites that are spicy but not too spicy, if you know what we mean. 1. Preheat the oven to 350°F (180°C). Line a rimmed baking sheet with parchment paper. 2. Cut the cauliflower into small florets or break it into pieces the size of popped popcorn. Reserve the stalks for another use or toss them in the compost. 3. In a large bowl, combine the olive oil, paprika, cumin, turmeric, and salt and season with pepper. Add the cauliflower and toss to coat. 4. Spread the cauliflower on the prepared baking sheet and bake for 35 to 50 minutes, until golden brown and crisp, stirring occasionally. Remove from the oven and leave on the baking sheet to cool completely, about 30 minutes. This spicy roasted cauliflower was extremely tasty as a side dish and would be great as part of a tapas meal. Tons of flavor from all that spice! This spicy roasted cauliflower was a family pleaser. We all loved it and it disappeared pretty fast. Breaking the cauliflower into small pieces is what took the longest while making this. I think I could have added a bit more of the seasoning. After 20 minutes the cauliflower was fully cooked. I left it in the oven hoping it would crisp but after 45 minutes it still was not crunchy so I turned the oven to broil for 3 minutes, turned them a bit, and then broiled them for 2 more minutes. The end result was a very addictive, healthy little snack. This roasted cauliflower with spices is almost addictive. I kept thinking I was done and I'd go back for more. Make sure you have plenty for everyone. We had a total of 3 people eating it at a barbecue dinner. I would suggest making another batch if you have more people. The cauliflower ended up being very tasty indeed! The flavors came out to be just right and I wouldn't change a thing. Cauliflower isn't a favorite vegetable of mine so I don't cook it much but I was curious to see how we would like it roasted and spiced. It was easy to put together and cooked fairly well. The cauliflower soaked up all the spices and olive oil. I had thought the olive oil and spices were too scant before cooking but once it started cooking it was clearly enough. I turned the cauliflower every 15 minutes and I wasn't able to get it crisp, even with additional 10 minutes of cooking time. Even without getting crispy, the cauliflower was tasty. 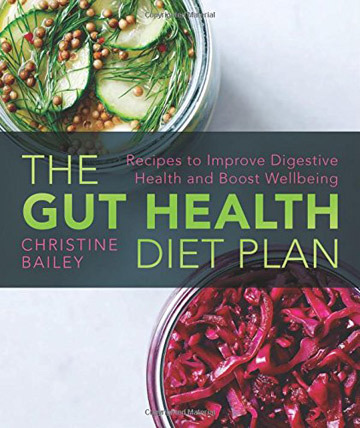 My husband said it could be addictive and both my sons liked it, including my picky vegetable eater. It served four of us—two kids and two adults—with leftovers. I reheated the leftovers the following night in a 425°F (218°C) oven for 10 minutes and finally got the dark crispy pieces I was originally hoping for. I would definitely make this again but at a higher oven temperature. Cauliflower always rings the no-guilt bell for me, especially as a snack or appetizer or even standing in for buffalo wings or rice. This spicy roasted cauliflower recipe was mild, not punchy like cauliflower buffalo wings. It was good. It's on the mild end. I could readily recommend this to folks who don’t do spicy food as it's not too spicy for kids or a timid palate. It's nearly perfect, and I think with a higher temperature (or added convection) the crispiness factor would be perfect. At 350℉ (177°C), it is difficult to get to the crisp exterior you expect, but it was nicely golden brown, and coated with just enough flavor to make it interesting, yet not oily or messy. I gave it a full hour in the oven, checking it every 15 minutes. I did my prep the night before, washing, trimming the cauliflower, and breaking off into small pieces (saving the core and leaves for use in soup or a stir-fry) and bagging it in the fridge. The next day I ground up fresh cumin, mixing with the spices and oil and gently tossed the cauliflower for a long while to capture every bit of the spice slurry. I used a glass bowl to keep from staining a plastic one with the turmeric or paprika, and when I had tossed the cauliflower, it left a nearly clean bowl with no excess oil. Without overcrowding, it made a single layer on a half-sheet pan lined with parchment. This is easy. It serves 2 easily as a veggie course, or would serve 4 if other tapas were offered although no one would know if you kept the entire bowl to yourself and settled in with a good movie or TV show. This spicy roasted cauliflower recipe was a snap to make. I cut the cauliflower into small chunks. After mixing the wet and dry ingredients I added the cauliflower. Initially I did not think the topping would be enough to coat the cauliflower, but it turned out to be just the right amount. The cauliflower was perfectly coated, leaving just a small residue in the bowl. I roasted the cauliflower for the full 45 minutes, stirring once. They were not as crisp as I would have liked, but still tasty nonetheless. This recipe is a tasty, easy-to-put-together, healthy low carb snack or side dish. This spicy roasted cauliflower was easy to make and tasted great. Spicy Roasted Cauliflower Recipe © 2016 Christine Bailey. Photo © 2016 Watkins Media Limited. All rights reserved. All recipes and photos used with permission of the publisher.